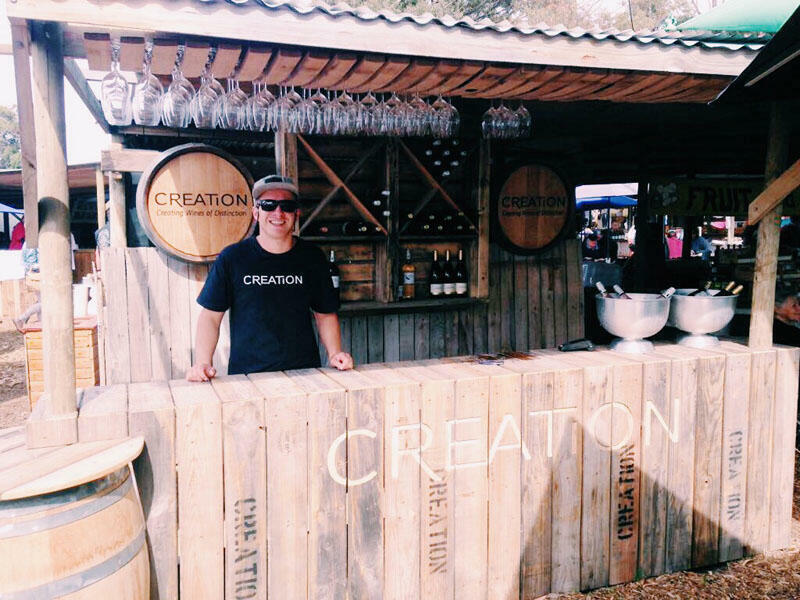 That Creation wines are delightfully versatile and food friendly is no secret. This is thanks to the refreshing natural acidity, the multifaceted complexity and the excellent balance of these cool-climate wines. Add to this owner Carolyn Martin’s passion for flavour profiling and it’s also no wonder that the estate is regarded as a trendsetter in the field of wine and food pairing. So, what to expect when lunching at this picturesque Hemel-en-Aarde estate over Easter? 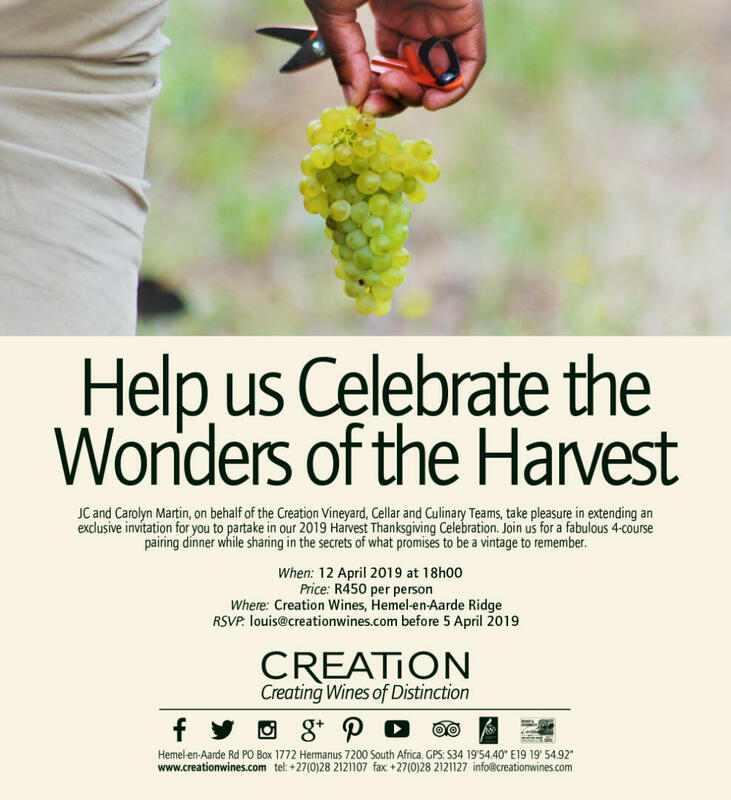 Among the highlights on the small-plate pairing menu is the Pan-fried Sweetbreads, Curry Spiced Lentils, Mango Salsa and Labneh – a dish specially designed to complement the Creation Grenache Noir, Viognier Rosé. The Smoked Gammon with Carrot Purée, Asparagus, Sweet Citrus Jus and Mustard Shoots is the ideal partner for the award-winning Creation Reserve Chardonnay. And then for the Apple and Apricot Spiced Jam Pudding with Sultana Purée, Toasted Coconut Soil, Vanilla and Raisin Gelato you have the choice of another glass of Creation Reserve Chardonnay or the Elation MCC Sparkling Wine. 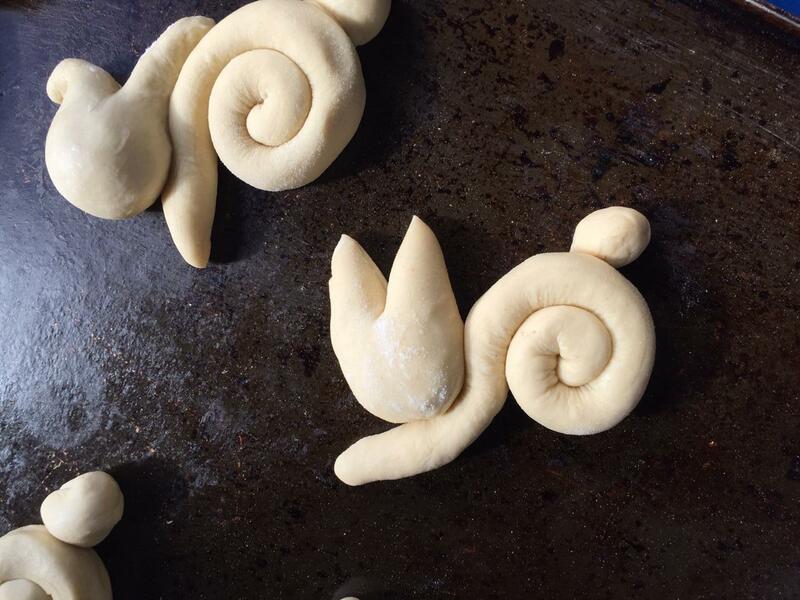 Click here for the scrumptious new recipes. Wine writer Greg Landman of Country Life recently included two Creation Pinots in his list of 18 Favourite Pinot Noirs. They are the 2017 Creation Reserve Pinot Noir and the 2017 Art of Creation Pinot Noir. He describes the latter as “. . . sleek, deep red in colour, super fragrant on the nose and packed full of opulent flavours of cherry and plum with earthy aromas.” Click here to read more. The Creation online store offers you the convenience of selecting and buying wines from our award-winning ranges. It’s quick, easy and secure, with gift options and delivery to your doorstep. Simply click here. Where friends meet, hug and eat … You can look forward to an amazing array of fresh organic produce, homemade delicacies, artisanal cheese, wheat-free bakes, sought-after local wines, exquisite jewellery and handcrafted gifts – and much more. For more information click here.